There have been loads of requests for a tute on my little handmade books... especially after my Graphic 45's An Eerie Tale Potter-ish trunks. Seeing as it's fairy ninjas who come and make them in the middle of the night, there will not be a tutorial. I've also had lots of requests for a download of the covers... which seemed a bit silly if you couldn't make the books. 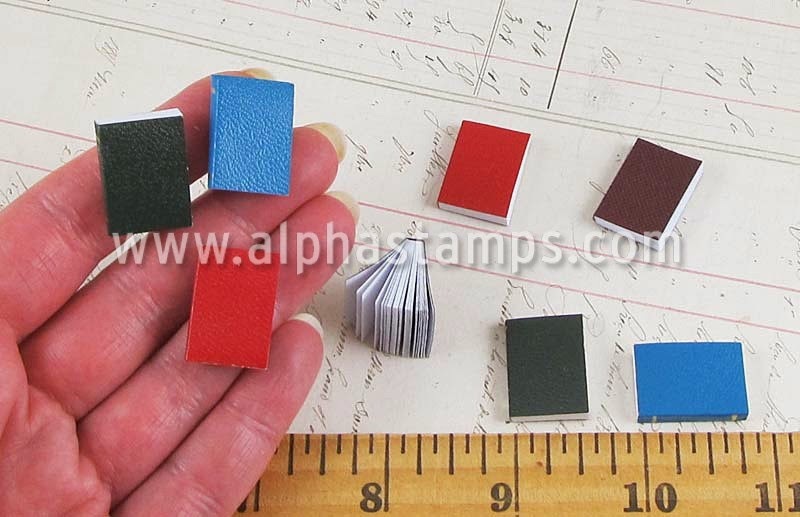 So, I've been working hard with Leslie from Alpha Stamps for a solution to this particular delemma. 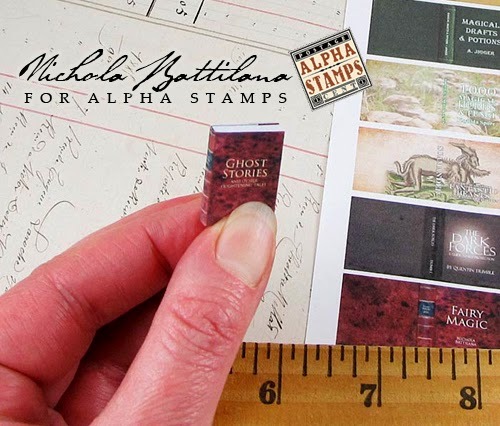 To fit perfectly with these new Alpha Stamps mini books! Put the two together and looky what you can make! The "Little Library" collage sheet includes Potter-ish books, spell books, fairy titles, blank covers... and by extra special request, several Jane Austen titles. 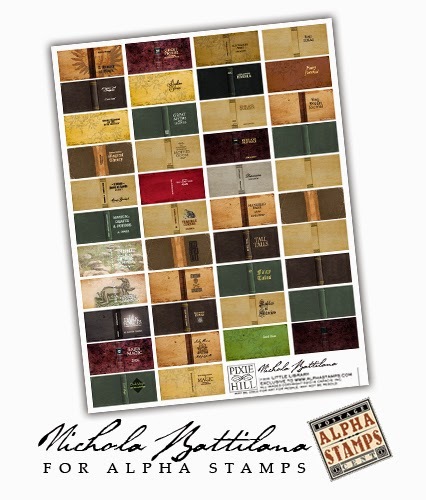 Now go on and make yourself an awesome Little Library with those adorable Alpha Stamps mini books! P.S. 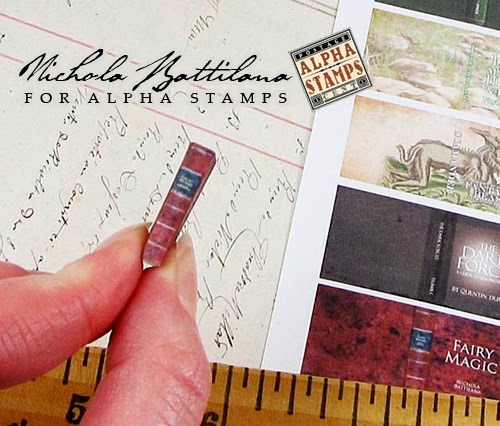 Hurry over to the Alpha Stamps blog and you could enter their amazing giveaway, it closes tomorrow! You are a Gem!! Thank you so very much! 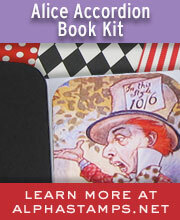 Already have your new Collage Sheet safely stored on my computer to make my own lovable cute little books. Great idea for those of us with no fairy minions in residence!